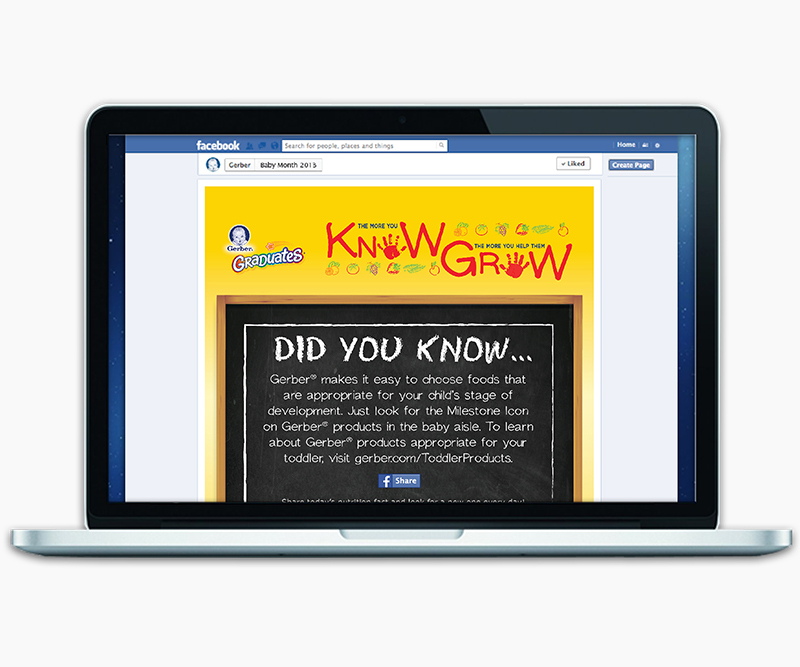 Know ‘N’ Grow – Zucconi Idea Agency, Inc. Knowledge is power. 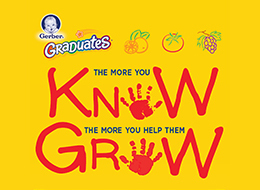 That was the insight behind this program, developed to promote the entire portfolio of Gerber® Graduates® products – foods specially formulated for the nutritional needs of toddlers and preschoolers. 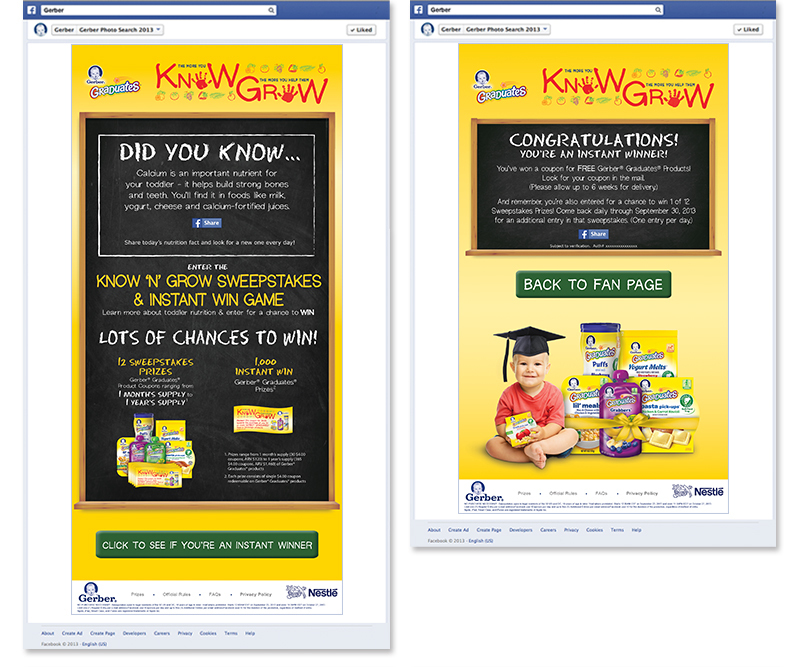 The centerpiece was an interactive Facebook/mobile experience that also served as the sweepstakes entry mechanism (over $20,000 in total prizes): a different toddler-nutrition fun fact every day during the promotional period. 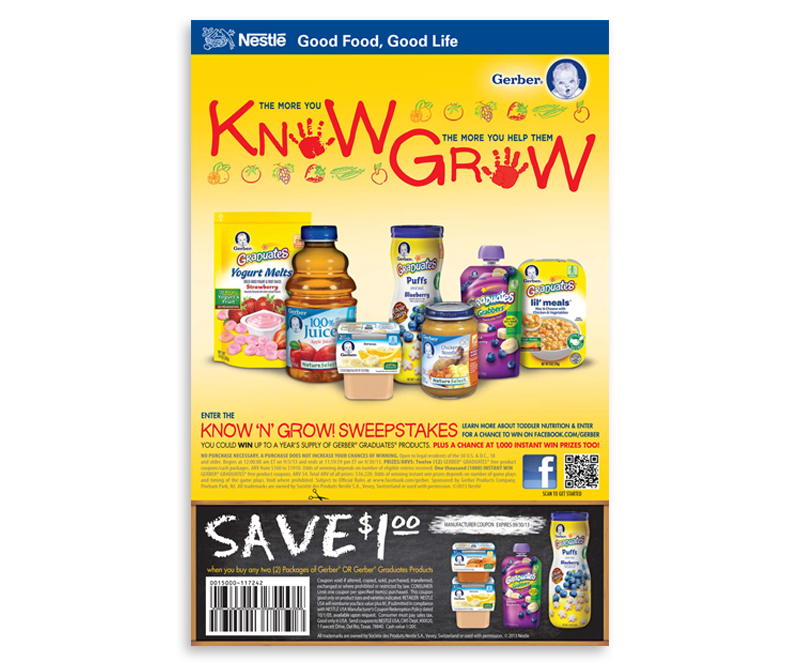 Rich, actionable educational content that empowered moms everywhere to make good nutritional choices for their growing toddlers. There was powerful consumer and trade support too: a national full-page FSI, in-store floor displays, email blasts, couponing programs and more. The creative was themed to align with the timing of the event – the busy back-to-school season, when moms are filling the stores – and their pantry shelves – preparing for the year ahead. 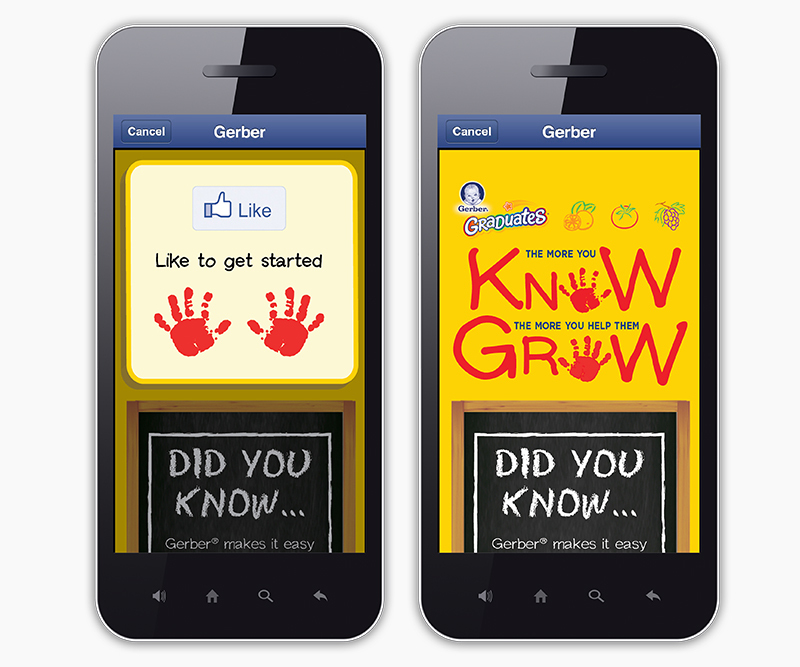 The program generated high levels of consumer interest and participation…drove sales…and enhanced Gerber's industry-leading credentials as a knowledge resource.